Halloween has gained enormous popularity over the years. Decorations have become more elaborate, costumes are much more than just a mask or scary make-up, and our pets have even become a part of the festivities. Halloween may be a favorite holiday of pet owners, but that doesn’t mean it is a good idea to include pets. Although the marketing of pet-oriented Halloween merchandise has become a multi-million dollar business, pet owners need to be cautious when it comes celebrating with their animals. In 2016, Americans spent $350 million on Halloween costumes for their pets. That’s a lot of money for an outfit your pet probably isn’t too thrilled to wear. Costumes are designed to be creative not comfortable, often restricting a pet’s ability to move. In general, a costume is just not a good idea for pets, especially cats. A more sensible alternative would be putting a collar or bandanna with a Halloween theme on your pet. It will still be dressed to celebrate but in a more humane fashion. If you plan to dress your pet in a costume, make sure it fits properly, is comfortable, and does not restrict breathing. Be sure there are aren’t any pieces that can be chewed off or swallowed, and that it doesn't restrict movement, sight or hearing. 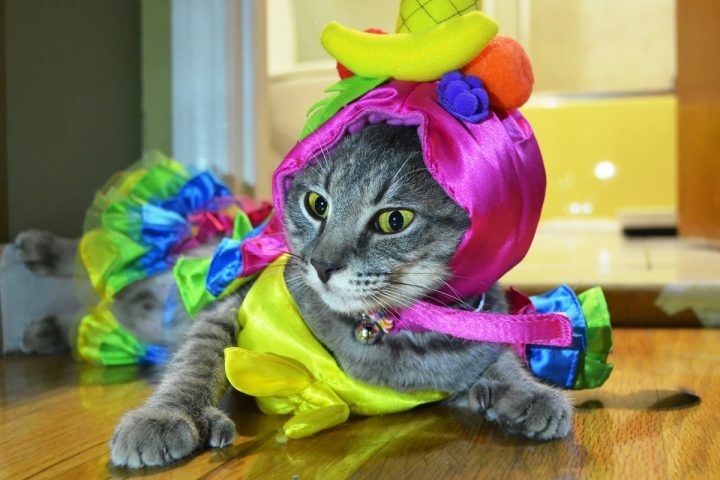 Get your pet accustomed to the costume before Halloween, and never leave your pet alone while wearing a costume. 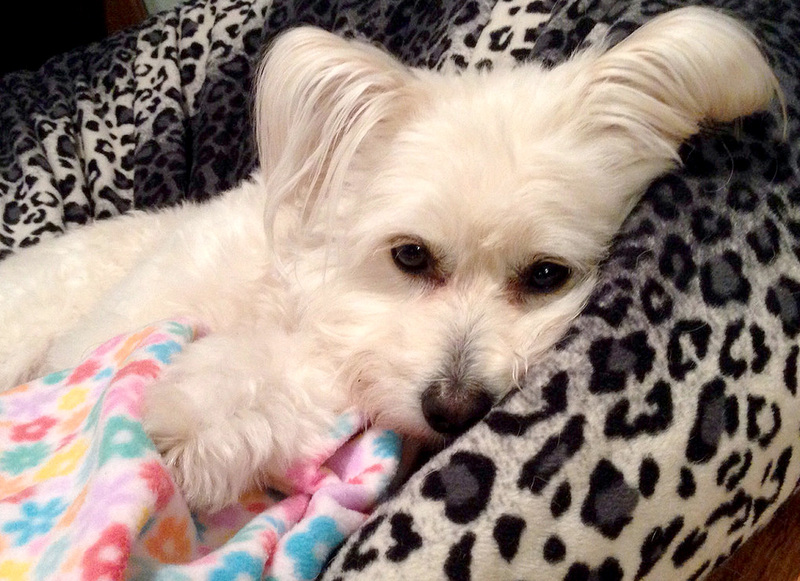 Halloween can be very upsetting for our pets, especially if they’re high-strung. The constant ringing of the doorbell, loud voices, and lively interactions can be disruptive. 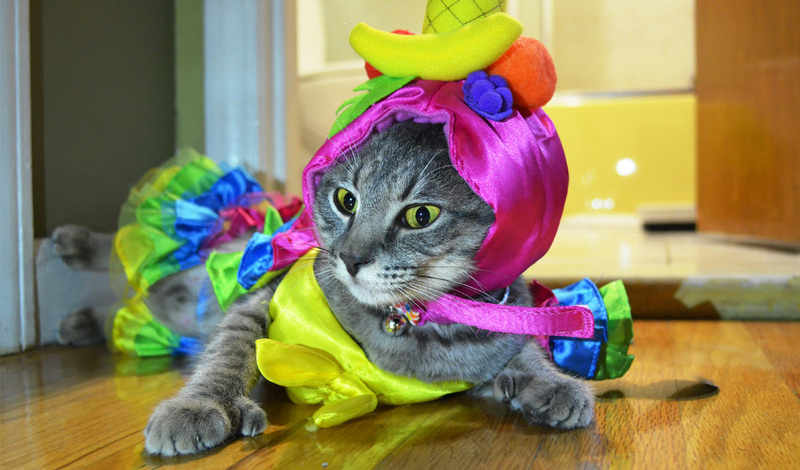 If your pet is easily stressed, take precautions before trick-or-treating begins. Put your pet in a room as far away from the door as possible. Be sure to bring a bed or a blanket, a favorite toy, and a treat. If your pet is intensely afraid of loud noise you may want to consider a thunder shirt or medication. If you have a pet that enjoys greeting trick-or-treaters, just be diligent in keeping it from escaping. If prone to trying to get out at the sign of an open door, it should be kept in a separate room for the duration. 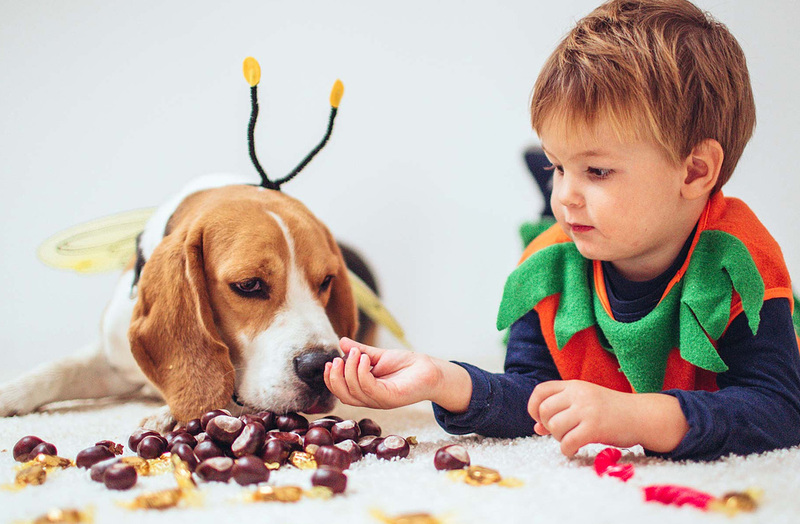 If you want to take your pet trick-or-treating with you and your family, do so only if it’s accustomed to walking on a leash and being around others. And, be sure it’s wearing a collar with the proper identification tags in case it gets away from you If you will be assisting youngsters in trick-or-treating, it’s probably best to leave your dog at home. Cats are much better left at home where they are safe and content. Halloween would not be complete without decorations! Most don’t pose a threat to pets as long as there are no small objects your pet may be tempted to chew or ingest, and electrical cords are safely tucked away. Pumpkins and pumpkin seeds are not harmful to animals; although it is best to illuminate them with an electric candle instead of a traditional wax candle with a flame. This way, the jack-o’-lantern is festive and safe. Halloween treats for pets have become big business, and pet owners may be tempted to indulge their dog or cat with a holiday-themed snack. Never a good idea. Anything you feed your pet, other than a regular diet, can upset its stomach and cause vomiting and diarrhea. Snacks in Halloween colors or pumpkin- and/or cinnamon-flavored dog food are just not a good idea, even for a brief period of time. And remember, never share your Halloween candy with your animals!